They are bold and they are beautiful. They are already a darling of the media. Here are five star actor daughters who are, we believe, destined to become Bollywood superstars. It is just a matter of time before they rock it on the screen. Navya Naveli : She belongs to the Bachchan family and she oozes glamour. If you don’t believe what I am saying then you better check her instagram profile. She is the hottest celebrity daughter on social media and she has a humongous following of her own on instagram. Sara Ali Khan : She is all grown up and rumours of her making her debut on screen are already doing the rounds. We feel that it’s just a matter of time before the daughter of Saif Ali Khan lights up the screen. Jahnavi Kapoor : Cinema is in her genes and she has got a legendary acting talent in her own family. Here’s Sridevi’s daughter who everybody wants to cast in their movies. We hear that she hasn’t said yes to anybody yet. Dishani Chakraborty : She is the surprise entrant in this list because she has everything going to be a superstar in Bollywood. 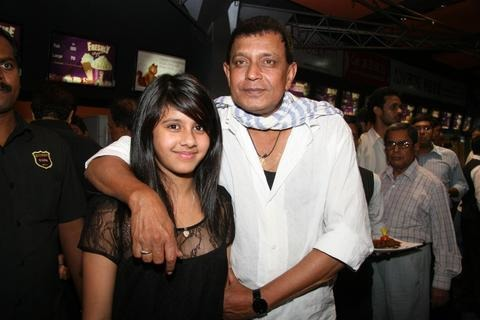 She is Mithun Chakraborty’s youngest daughter and she oozes glamour. Aalia Furniturewala : She speaks her mind, she writes like a dream and she looks like a million bucks. Here’s the feisty daughter of Pooja Bedi who can give Aalia Bhatt a run for her money in the glamour department.